Jess Writes Here: Grandparents, Aunts, and and an Uncle, Oh My! 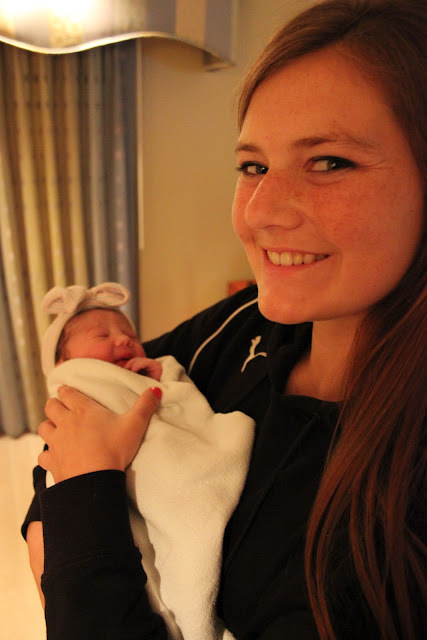 The first three weekends of Anna's life were filled with an abundance of love, kisses, and cuddles. Who better to give all the above than her Grandma Terri, Grandpa Lon, Mami, Aunt Fanie, Auntie Em, and Uncle Zak? 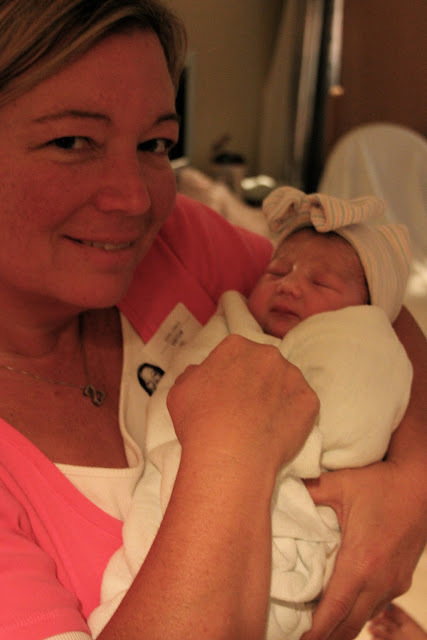 Grandma Terri (Travis' mom) and Auntie Em were the first to meet Anna. They saw it all, and when I say "all", I mean they saw me give birth and held Anna when she was only minutes old! Grandpa Lon (my dad), Aunt Fanie, and Uncle Zak met Anna when she was only a week old. With all those open arms she was never put down the entire weekend. Mami (my mom) came to visit when Anna was only two weeks old. We spent the weekend relaxing and Anna enjoyed cuddle time and kisses from her Mami. Reflecting back on these past few weekends I'm realizing the sacrifice it takes to becoming a mother. When my sisters and brother were here all I wanted to do was hang out until the wee hours of morning like we used to do talking, laughing, and making new inside jokes. Let me tell you though, one look from my sweet baby girl is well worth the sacrifice. Oh, those eyes get me every time! She is such a doll! So happy for you guys! Wow, what an ordeal, so glad you and Anna are ok. I've been stalking your blog for months, waiting to see baby pics! Thank you so much for sharing!